It’s obvious that the Davy Jones from the Nonestic Ocean is named after the famed Davy Jones’ Locker, and I suppose one of the closets or the sea chest in the wooden whale’s cabin could probably count as a locker. Where did the term originate, however? It doesn’t look like anyone really knows. It is a quite common name, after all. David Jones was actually David Bowie’s name, but he changed it because he was working at the same time as Davy Jones from the Monkees. More to the point, there was a pirate named David Jones who committed his robberies in the Indian Ocean in the 1630s, but he wasn’t particularly famous. There’s also a popular tale about a British pub owner named David Jones who would dump drunken sailors on random ships, and another about a sailor called Duffer Jones who had bad eyesight and kept falling overboard. “Davy” might also be a corruption of either “Devil” or “Duffy,” the latter being a West Indian term for a ghost. And “Jones” might possibly derive from Jonah, the Biblical character who was thrown off a ship and lived in the belly of a fish for three days (after which time both the fish and the visitor started to stink, at least according to Benjamin Franklin). In addition, David was the patron saint of Welsh sailors, but Wikipedia finds this explanation unlikely, as the Welsh would have called the saint Dewi. All interesting possibilities, but who knows? 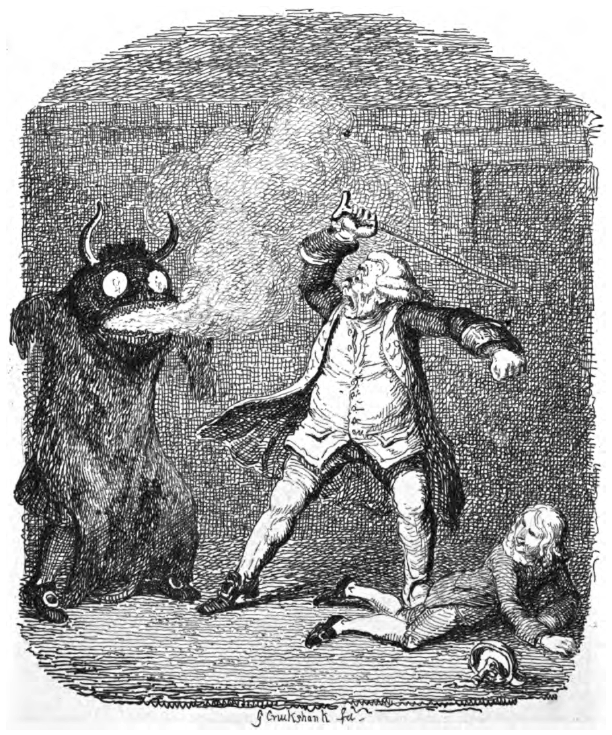 A 1751 book by Tobias Smollett describes Davy as “the fiend that presides over all the evil spirits of the deep, and is often seen in various shapes,” and states that his most common form has three rows of teeth, a tail, and nostrils that emit blue smoke. Not a whole lot like his appearance in the Pirates of the Caribbean films, but when does the movie ever get anything right? (Full disclosure: I’ve only ever seen the first of those movies.) The counterpart to Davy Jones’ Locker, at least according to some nautical accounts, is Fiddler’s Green. This is a paradise of eternal fiddling, dancing, drinking, and smoking, where worthy sailors end up when they die. Some tales have it that serving fifty years at sea is a necessary requirement for gaining admission. Incidentally, John R. Neill’s whale is not the only Davy Jones to appear in the Oz series. No, the Monkees never went there, at least as far as I know, but Wooglet and her Uncle Chris (a somewhat fictionalized version of Chris Dulabone) visit Davy Jones’ Locker in Hugh Pendexter’s Wooglet in Oz. Here, it’s a sunken frigate that’s been converted into a boarding house. Davy isn’t really described, but he lives in the Locker along with a redheaded mermaid cook named Bridget and a company of shipwrecked sailors. 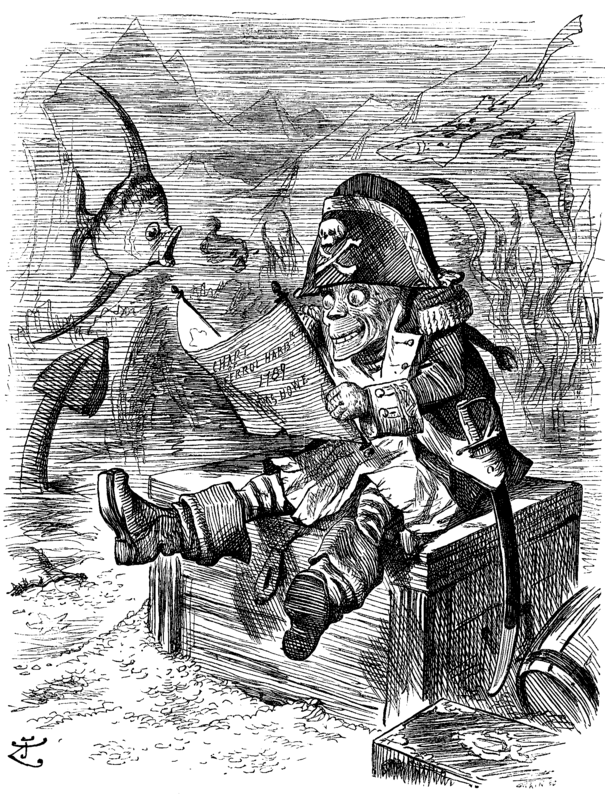 There’s no mention as to whether this Davy Jones is in any way connected to the whale. This entry was posted in Chris Dulabone, Hugh Pendexter, John R. Neill, Mythology, Oz, Oz Authors and tagged bible, davy jones, davy jones the wooden whale, davy jones' locker, duffer jones, fiddler's green, jonah, pirates of the caribbean, st. david, wooglet in oz. Bookmark the permalink. Please tell me the title of this piece is taken from the Talking Heads song.